Liquidmetal, the maker of a super-strong metal alloy that recently signed an exclusive deal with Apple, already partnered with the Cupertino, Calif., company to create the materials for the SIM ejector tool that has shipped with the iPhone and 3G iPad. Atakan Peker, co-creator of the Liquidmetal alloy, told Cult of Mac that he recognized the metal when he opened his iPhone 3G years ago. The site also independently confirmed the use of the alloy as a test of the company's manufacturing capabilities. In addition, people familiar with the matter also informed AppleInsider that the SIM ejector tool found in previous-generation iPhones was made of the alloy from Liquidmetal. 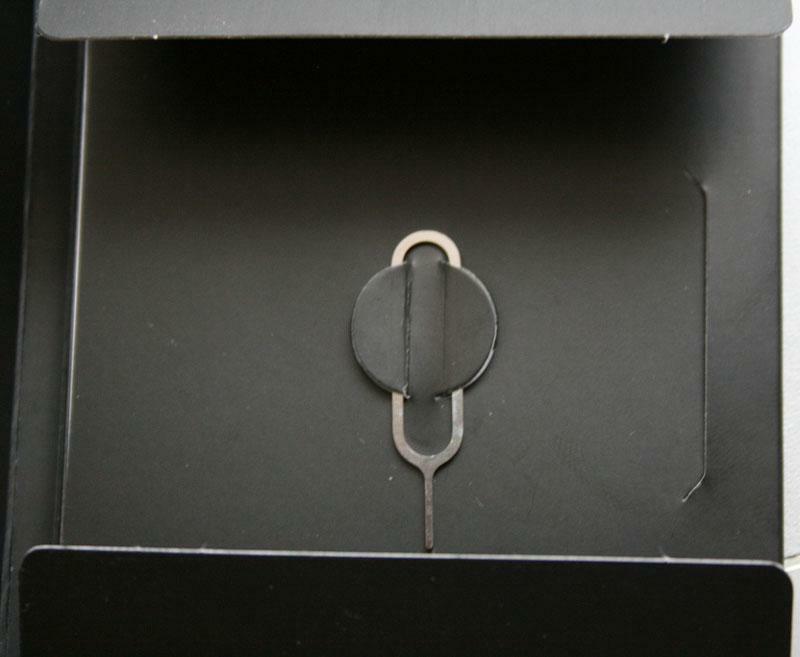 In the U.S., the iPhone 4 does not ship with the SIM ejector tool. "That's my metal," Peker reportedly said. "I recognized it immediately. Take it from an expert, that's Liquidmetal." He added that the alloy is "practically unbendable by hand unless you want to hurt or cut your fingers." Peker is co-inventor of Liquidmetal, an alloy created at the California Institute of Technology. Last week, AppleInsider revealed that Apple had entered into an exclusive agreement with Liquidmetal Technologies, the corporation that owns the invention. The amorphous, non-crystalline material is 2.5 times the strength of commonly used titanium alloy and 1.5 times the hardness of stainless steel found in portable electronic devices. Introduced for commercial applications in 2003, the product has since been found in medical equipment, sporting goods, and equipment used by the U.S. Department of Defense. iPhone 3G SIM card ejector tool. Photo via Flickr user Jamie McCall. Liquidmetal Technologies has granted all of its intellectual property assets to Apple, under a worldwide agreement that gives Apple the exclusive rights to use the alloy in electronic products. Liquidmetal is still allowed to license its alloy to other companies for use outside of markets where Apple competes. The deal between Apple and Liquidmetal is believed to be worth at least $10.9 million, as the metal maker announced last week that its deal with Apple allowed it to immediately pay off that much in debt. The debt payments were made Aug. 5, the very same day that Apple and Liquidmetal entered into their agreement.